>> Does Coconut Oil for Eyelashes Work? Every girl wishes she had longer, fuller eyelashes – why do you think there are so many cosmetic products out there to help us achieve a fuller-lashed look? 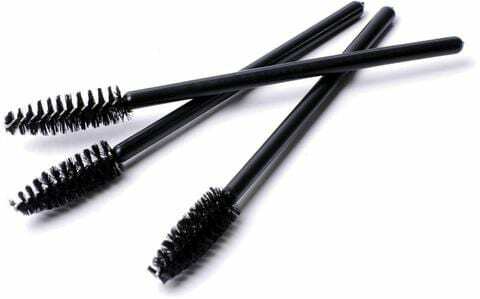 The problem is however, that too much mascara can not only look a little ‘over done’ but can also actually cause damage to your eyelashes making them more likely to break or fall off. The perfect look is one that is natural and healthy where each lash is clearly defined, dark and striking and not coated or glued up with thick layers of mascara. While there are some great cosmetic products out there, one of the best home remedies to help your eyelashes grow thick, strong and beautiful is coconut oil. By now, you’ve probably heard all about the benefits of coconut oil for skin, hair, and weight loss…but what about coconut oil for eyelashes? Why Coconut Oil for Eyelashes? This delicious-smelling oil has become one of the beauty industries not so well kept secrets and is a product that every girl should have in her bathroom. 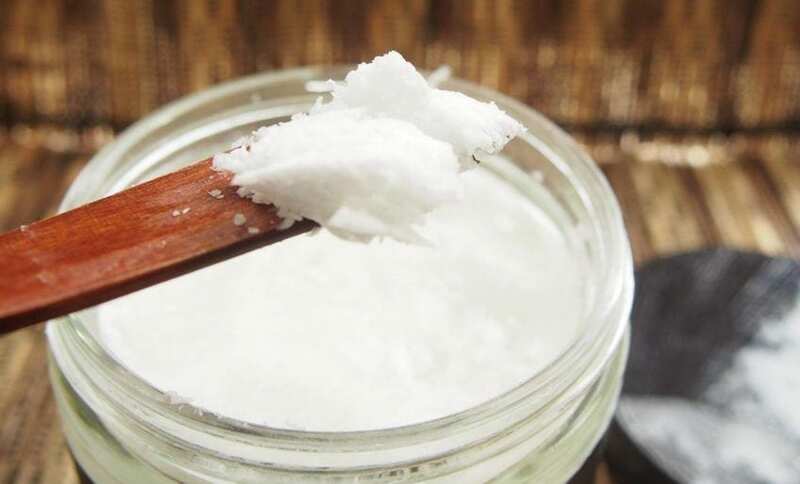 The health benefits of Coconut Oil are massive and it’s a product that has been praised for its wowing effects on skin and hair, in cooking, and now, yep, you guessed it, for longer, fuller eyelashes too. Coconut contains many healthy properties such as natural fatty acids which are needed to help cell growth in the human body, therefore applying it to your eyelashes helps new ones to grow. What’s so great about it? For starters, it can be used to instantly improve your eyelashes. This light oil has a pleasant scent and, once applied to the lashes will immediately sooth and moisturize them, help to create separation and definition, and give them a slightly reflective, glossy quality which helps create a fresh and natural look. Regular and long-term use of coconut oil comes with more lash benefits, helping to replenish them with much-needed hydration and lash-boosting nutrition which ultimately help lashes last longer before falling off or breaking. Coconut oil is able to do this because it is rich in proteins and fatty acids (both of which your lashes thrive on) and penetrate the hair shaft of your lashes to strengthen it with its proteins and fatty acids. The result? Longer, thicker, healthier lashes. Coconut oil is also really easy to find – you can get coconut oil in supermarkets, health food stores, and now, due to its popularity as a cosmetic super power, in drugstores and pharmacies too. Of course, you could always scoop it up online for a better price as well. Compared to most eyelash growth serums, it’s also relatively inexpensive and the amount you need to use to help your eyelashes grow is so small that it will last you for ages too – so a brilliant investment all round! The awesome thing about coconut oil is that it’s totally safe for your eyes. Of course, you don’t want to be rubbing this stuff into your eyes (unless you enjoy blurred vision) but while you should be gentle and careful when applying Coconut Oil to your eyelashes, should some get into your eye you can wipe or rinse it away and it shouldn’t cause you any irritation. Not only is coconut oil safe – coconut oil is actually good for your eyes. You see, most of the fatty acids found in coconut oil is lauric acid, which has ample antifungal and antibacterial properties that will protect your eyelashes from falling prey to infections that limit hair growth. And those same fatty acids do all this while also delivering great nourishment and hydration to your lashes and hair follicles! Does Coconut Oil Help Eyelashes Grow? Here’s what you need to know about how to make your lashes grow: There are factors like nutrients and conditioning that boost the health of your lashes. Coconut oil falls under this category. By giving your lashes the nourishment they need, lash conditioners like coconut oil hydrate and replenish your lashes to help them grow healthier and stronger. Healthy eyelashes are much less likely to fall off or break and more likely to grow to their full length and thickness, which is why people see great results in their lash line simply by providing nourishment. All that being said, coconut oil will not necessarily make your lashes longer. They will strengthen, nourish and help your lashes grow to their full height and thickness – which will definitely improve your lash line and make your eyelashes look longer – but they won’t extend your lashes past their natural length. You see, there’s a limit to how long eyelashes can grow. 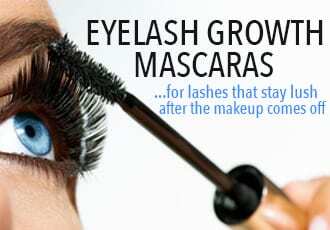 So if you have naturally short lashes, the only way to make your eyelashes grow is by using an eyelash growth serum. These serums contain ingredients that both extend the growth phase of your lashes so they grow to longer lengths as well as increase the number of lashes that sprout so your lash line is fuller and thicker. 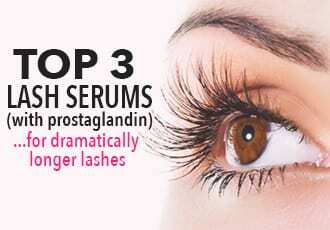 If you’re looking to actually lengthen your lashes – go for a great eyelash growth serum. And use the coconut oil alongside it to nourish and strengthen your eyelashes. Oh, there are so many ways you can use the lash-nourishing benefits of coconut oil on eyelashes! Simply dab coconut oil onto a cotton pad and gently wipe over your eyes. Another option is to apply coconut oil directly to your lashes as an overnight conditioning treatment. Use a disposable eyeliner brush or mascara wand or Q tip to help you apply coconut oil onto clean, makeup-free lashes. The best time to apply is at night so that the oil has time to fully absorb for maximum effect. You only need a small amount which you simply brush onto your lashes to instantly soothe and nourish them. 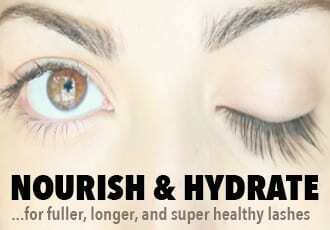 If you want to give your lashes an extra boost of lash TLC – try your hand at a homemade lash growth serum. They’re super easy to make and you can add in a bunch of nourishing, lash-growth-promoting goodies into your DIY recipes! Wow! This does work awesome!!! ?I recommend it to anybody who has gone through what I’ve gone through-dreadful thin eyelashes this works within two weeks! I adore it)) And I know it’s helpful)) But cannot be used if I spend days and nights at work, among other busy bees)) Sorry but because of this, I chose Cherish Lash serum and it’s with me in any conditions)) Made my eyelashes much longer too! !